Sri Lanka will have no central bank chief for a few days, the government said on Friday, an unprecedented leadership vacuum that fuels concern about daily operations after the previous governor declined to seek reappointment. The central bank is known to frequently intervene in the market to arrest sharp movements in the rupee currency, and a deputy governor said a monetary board would take key decisions. Arjuna Mahendran, the central bank chief since January 2015, ended his term on Thursday amid a corruption investigation. Mahendran, who has denied any wrongdoing, did not respond to telephone calls from Reuters to seek comment. Mahendran’s successor would be appointed “in the coming hours” President Maitripala Sirisena said this week, but on Friday the government said he would only decide after consulting the finance minister. The uncertainty looks set to persist, however, as Finance Minister Ravi Karunanayake only returns to work on July 4 following a visit to Japan. The governor’s departure cuts the membership of this panel to three from the usual five, however, as one other place had already been vacant. Weerasinghe, now the most senior central bank official, is among six candidates tipped as possible replacements for the governor. The others are a finance professor, two economists, and two allies of Prime Minister Ranil Wickremesinghe. Disagreement between Sirisena and Wickremesinghe over the choice of a new governor has delayed the appointment, say government sources, who sought anonymity because they were not authorised to talk to the media. 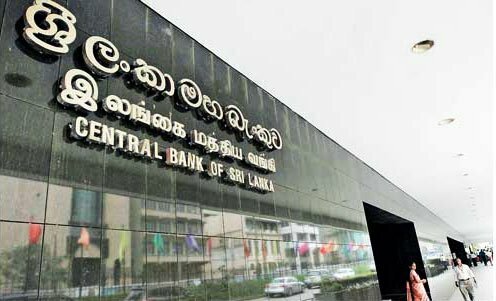 The central bank would ask Sri Lanka’s attorney-general to advise on functioning in the absence of a governor, he said. “They should be able to get the advice of the attorney-general on how to function for this very short period,” he added, referring to the central bank. The opposition and several civil society bodies have accused Mahendran of involvement in bond dealings favouring a firm related to his son-in-law. Although unproven, the allegations against Mahendran have perturbed markets, Sasha Riser-Kositsky, an analyst with political risk consultants Eurasia Group, said in a note. “The split over the fate of Mahendran signals that infighting will intensify, threatening the government’s reform commitments to the IMF,” Riser-Kositsky said.